Mexico is a culinary paradise that attracts thousands of visitors every year, eager to taste some authentic tacos al pastor, sopes and mole poblano. Manzanillo is no exception. Apart from its spectacular sunny beaches and fascinating natural sights, it also boasts some of the best mariscos (sea food) cuisine in Mexico. Below we have discovered the 10 best restaurants to try in Manzanillo. This restaurant’s superb ocean front location makes it an ideal place to enjoy the essence of Manzanillo, long beaches, sun, and some great sea food dishes. 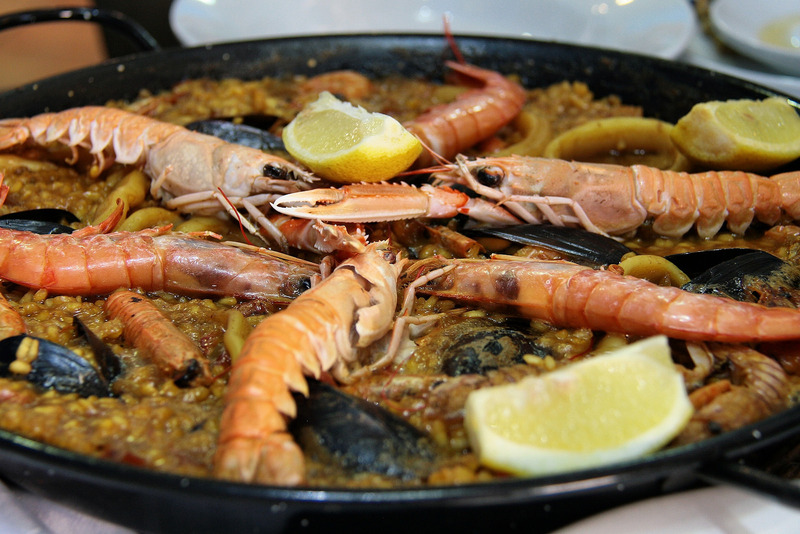 While the menu does not offer endless options, it certainly makes a smart and well thought out choice of local and Spanish-inspired cuisine such as fish, meat, and chicken fillet dishes, mariscos paella, cream corn soups and cannelloni. El Marinero is a perfect location to enjoy an elegant-yet relaxed-meal in Manzanillo. Blueberry Bistro Café’s retro charm has made it a popular restaurant. It prepares high quality, European cuisine as well as a great variety of delicious cakes and desserts. The stylish bistro décor makes it a perfect spot for an intimate dinner or to celebrate a special occasion. Its modern gourmet cuisine has a classic bistro menu (which also includes some Mexican classics) including juicy burgers, Italian pastas and fresh salads, complemented with a variety of quality wines and spirits. A perfect little place for those looking for a romantic and cozy spot and an elegant ambience. La Toscana serves some of the best fine dining cuisine in Manzanillo. It offers a perfect romantic setting with breathtaking ocean front views, candle lit tables and live music. The Italian-inspired cuisine includes classics like green pepper steak, artichoke salad, and Italian pasta dishes, but also grilled lobsters and other fresh seafood. A popular place among expats that are looking for a sophisticated menu in a unique location. In the marina near luxurious Las Hadas hotel, Bistro Marina is an elegant spot to wine and dine in style. This classy French inspired bistro offers refined menu options like lobster bisque, chateaubriand, chicken breast with a balsamic glaze and apples, as well as a good selection of wines and fresh cocktails. The ambience has an air of exclusivity with the tables set right in front of the yachts in the elegant marina of the bay of Manzanillo. A rooftop balcony is also available from where you can enjoy more dramatic views. If you are looking for the real delicious mariscos cuisine, Mariscos Carlos in downtown Manzanillo is the place to go. Offering a variety of local sea food dishes like fresh camarones (shrimps) tacos, tostadas, pescado zarandeado (fresh grilled fish), and pulpo a la Mantequilla (octopus cooked in butter), it is widely considered to be one of the top places to try local cuisine. The restaurant has ample space to accommodate big groups and is overall good value for money. Paraiso Restaurant has picturesque views of the gorgeous bay of Las Hadas, making it an ideal place to enjoy Manzanillo’s natural beauty and high end charms. Its stunning high patio is decorated with colourful tables and chairs, set under a grand thatched roof. Paraiso restaurant offers popular Mexican classics (including fresh fish dishes) and a variety of international dishes like pizzas, pastas, burgers, salads and fantastic margaritas. A small piece of paradise in Manzanillo. If you feel like you need a break from mariscos, El Fogon is the best place to get a big juicy steak in Manzanillo. This authentic Mexican restaurant specialises in meats and tacos. It also prepares a variety of local dishes including hand made tortillas, sizzling lava bowls, Chamorro, aztec soup and great fajitas. The ambience in this rustic Mexican restaurant is cozy and welcoming with plenty of local character. The drinks menu includes Mexican beers and cocktails. Aguachile is a beautiful beach restaurant that specializes in sea food. 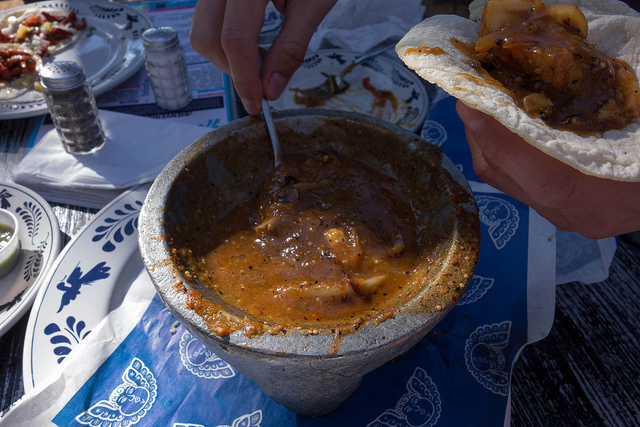 Some of the delicious local dishes you can enjoy here are molcajetes (volcanic bowls) with seafood, shrimps cooked various ways, grilled fish fillet, octopus dishes and delicious fresh lobsters straight from the sea. The ample seating area under a palm thatch roof creates a very relaxing, summery ambience which is perfectly complemented with the spectacular ocean views. The perfect place to enjoy some spicy mariscos with cold mexican beer. 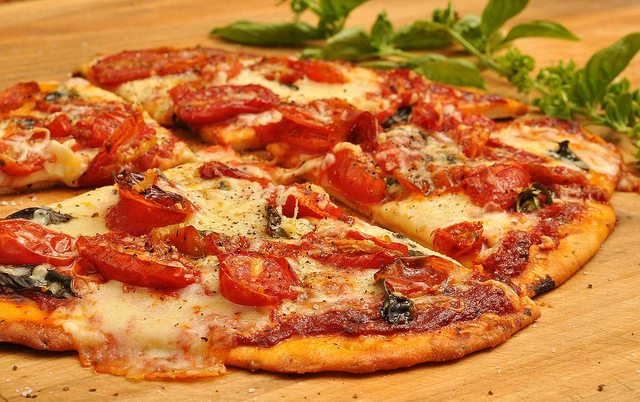 Sims Pizzeria is widely considered to make one of the most sensational pizzas in the state of Colima. The biggest treat with Sims is that you can split your pizza into several different types and use a number of different toppings, which is great if you want to try 3 different toppings on one pizza. Besides the creative pizzas, Sims Pizzeria prepares tasty lasagna, fresh salads and hearty sandwiches. You cannot go to Manzanillo and not make a stop at Chantilly, the traditional Mexican restaurant serving authentic tastes of Manzanillo. Chilaquiles, tacos, burritos but also crepes and burgers are all available. Chantilly is a popular breakfast, brunch and lunch spot serving wholesome Mexican comfort food all day long.